Tobias Rehberger is an artist whose work is characterized by transformation, serendipity, collaboration and shared experience. 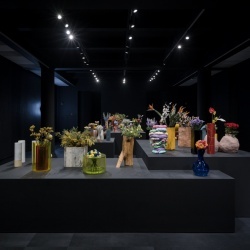 His work in large-scale often takes the form of visually-rich environments that are sites for social encounter, such as his Was du liebst bringt dich auch zum weinen (2009), which won the Golden Lion for the 53rd Venice Biennale, his recreation of Frankfurt’s Bar Oppenheimer in New York (2013), or his procession of sculptures 24 Stops between the Beyeler Foundation and Vitra Campus near Basel (2015-2016). When working with self-contained sculpture, Rehberger often looks to the viewers, friends and other collaborators to complete or contribute to the work. 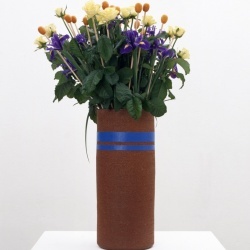 He invited fellow artists he had portrayed as vases to present him with a bouquet of flowers, completing each Vase Portrait, he asked assistants to initiate sculptural formations in velcro for his Infection series (2007 - ongoing) and he worked with craftsmen in Cameroon and Thailand to make serendipitous copies of furniture and cars. Working across diverse scales and an array of media, Rehberger is fascinated by the boundless possibilities of object and environment. As Rehberger once described, “I am very interested in this phenomenon that …the object is not only interested in its own existence. It’s a kind of tool helping the existence of something else”. 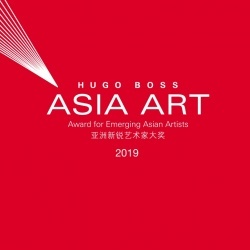 Selected solo exhibitions and projects for the artist include If you don’t use your eyes to see, you will use them to cry, Rockbund Art Museum, Shanghai (2019); Yourself is sometimes a place to call your own, The Museum of Contemporary Art, Busan (2018); 24 Stops, Fondation Beyeler, Basel (2016); Home and Away and Outside, Schirn Kunsthalle, Frankfurt (2014); Tobias Rehberger: Wrap it up, MACRO Museum, Rome (2014); Dazzle Ship London, River Thames, London (2012); When I See the Other Side of Heaven, It Is Just as Blue (commission), The Leeum Samsung Museum of Art, Seoul (2012); Nest (commission), Bloomberg SPACE, London (2012); Tobias Rehberger, MAXXI, Rome (2010); The Chicken-and-Egg-No-Problem Wall-Painting, Stedelijk Museum, Amsterdam (2008); On Otto, Fondazione Prada, Milan (2007); Get a New Liver, Tate Liverpool (2006); Private Matters, Whitechapel Gallery, London (2004); Night Shift, Palais de Tokyo, Paris (2002) and The Sun from Above, Museum of Contemporary Art, Chicago (2000). 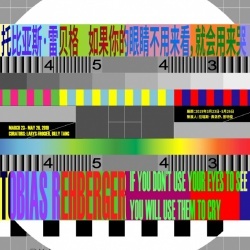 Tobias Rehberger lives and works in Frankfurt, Germany.